Democratic presidential candidate Cory Booker said in an interview set to air Monday night that President Donald Trump's rhetoric "hurts people" and is "causing pain and fear." "Racists think he's racist, and his language hurts people," the New Jersey senator said when asked by MSNBC's "Hardball" host Chris Matthews if he believes Trump is racist. "His language is causing pain and fear. The way he's talking is making people afraid." In making the criticism, Booker, who spoke with Matthews while in Davenport, Iowa, referenced an increase in hate crimes around the country, saying, "people are afraid to go worship at a mosque or a synagogue because hate is on the rise, and these hate incidents are rising." "We have a president that can't stand up with any moral authority and remind us that injustice anywhere is a threat to justice everywhere and it's despicable," he added. Booker's comments come in the wake of the New Zealand mosque massacre on Friday, in which a white supremacist allegedly killed 50 people. The alleged shooter wrote in an apparent manifesto that he supported Trump "as a symbol of renewed white identity and common purpose," although he said he disagreed with his policies. Trump, who has made inflammatory comments about immigrants, Muslims and white nationalists, condemned the shooting on Friday. But when asked if he believes white nationalist terrorism and violence is a rising concern globally, the president said, said, "I don't really." He added that he thinks "it's a small group of people that have very, very serious problems." 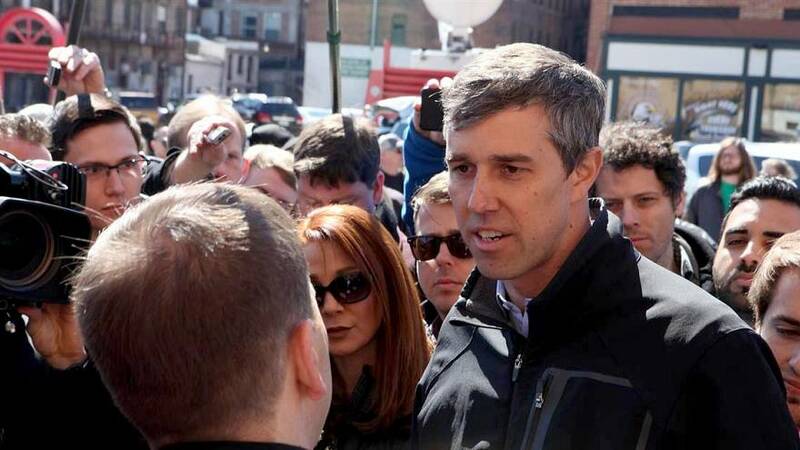 At a campaign event in Detroit on Monday, Democratic presidential candidate Beto O'Rourke also condemned Trump's rhetoric. "A president who calls Mexican immigrants rapists and criminals, a president who wants to ban all Muslim travel to the United States of America because, the implication being, Muslims are somehow more dangerous or violent than people of other traditions of faith, a president who calls Klansmen, and Nazis and white nationalists 'very fine people' is giving permission to others in this country and around the world to commit acts of hatred," the former Texas congressman said. 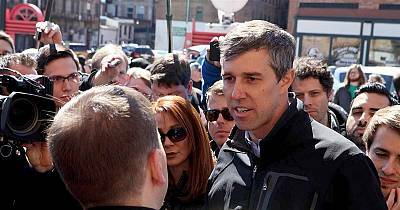 O'Rourke noted that a mosque in his home state was burned to the ground on the day that Trump signed his Muslim travel ban. "It's not just the words," O'Rourke said. "It's the actions that follow." Acting White House chief of staff Mick Mulvaney defended Trumpduring a pair of interviews on the Sunday political talk shows.